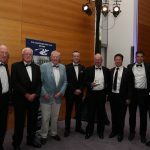 The room was filled with 425 members, alumni and friends of the club, among them Olympians, Henley winners and World Championship medalists. 50 Captains and all 9 surviving Presidents were in attendance. Current President Ned Sullivan opened proceedings by welcoming the diverse group who had travelled from across the country as well as the UK, Belgium, Germany, Sweden and Switzerland, and as far afield as Australia, Canada, United States and Malaysia. 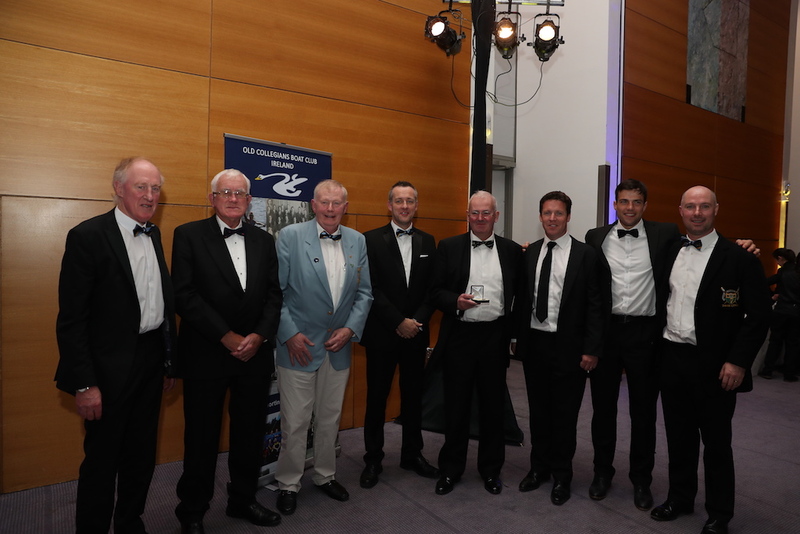 He made a special award to 91-year-old Mick Cleary who had travelled with an extended family group of 12 from the USA for the dinner. 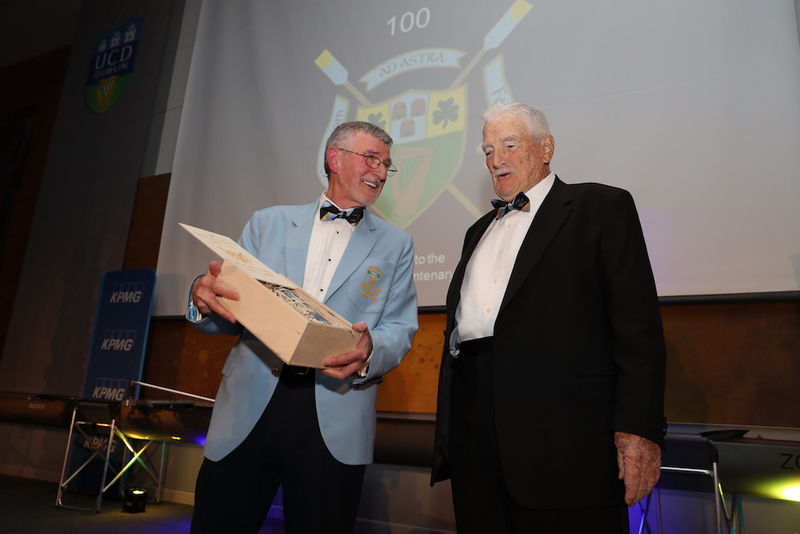 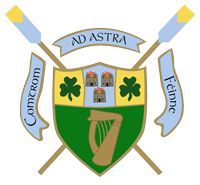 Mick represented UCD in the Gannon Cup, Irish Championships and Henley from 1947 to 1952 and received a personalised UCD Boat Club Centenary commemorative bottle of Bushmills whiskey on the night. 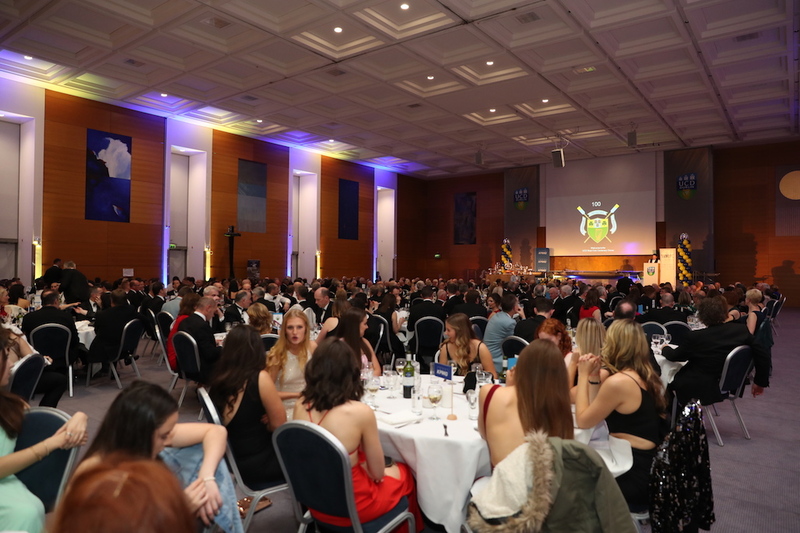 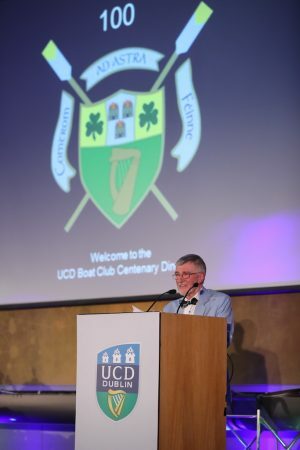 Starters were served followed by an unveiling of the UCD Boat Club Centenary Fund by Treasurer Niall Farrell, a special fund created in conjunction with UCD Foundation that enables graduates to support the club in the most efficient way possible. 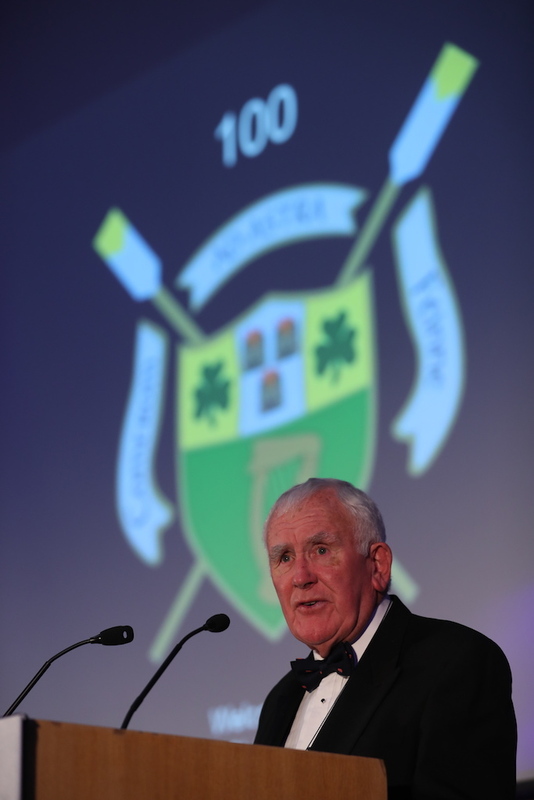 After the main course, Tom Sullivan delivered the keynote speech, fusing the wider history of rowing with the story of the club itself and paying tribute to the men who made enormous contributions in the early days of the club including Arthur Clery, Jim Meenan and Peter Spillane. 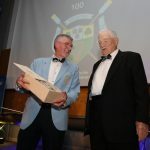 Old Collegians Boat Club President Murrough O’Brien then presented a new trophy, the UCD Boat Club Centenary Cup, for the overall University Championships winner to Rowing Ireland President Eamonn Colclough and official proceedings concluded with a raffle and closing speech from Captain Shane Mulvaney, although many continued to catch up with old friends long into the night. 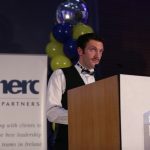 The friendship, energy and enthusiasm on show was a pleasure for all to behold and we hope paves the way for future gatherings. 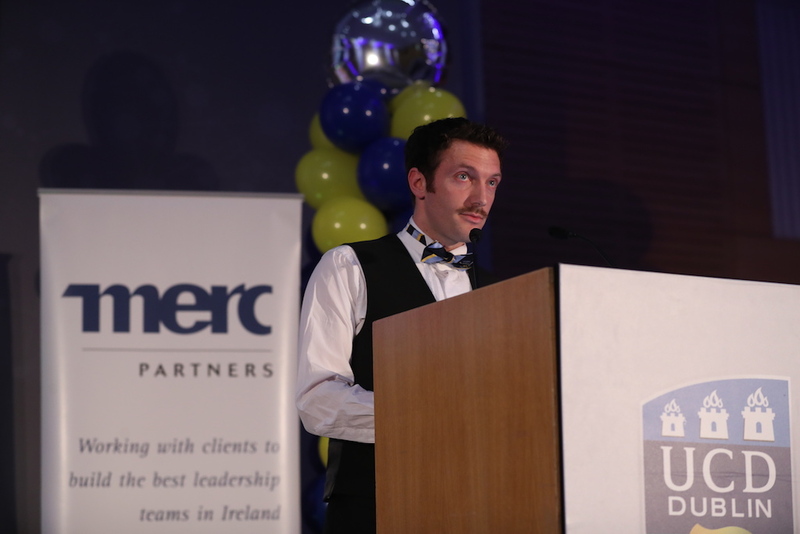 Thanks to Merc Partners for sponsoring the night, and KPMG and Bank of Ireland for their continued support of the club, and as ever a huge thank you to UCD Sport for their support and encouragement.